Thank you, EveryOne for an amazing weekend of Living Vision! We will bring video and written testimonial and event footage to this page soon, but we will tell you now, that there was transformation on an individual level that could have only transformed our world! In other words, from our time together at Living Vision, we are certain that waves of joy from us went out over all of the world, and that we have further opened to receive waves of joy, converging in us, from all over the world. Thank you, EveryOne, who came and shared heart and soul with each other. We will do this again! Living Vision is a powerfully transformative experience – a rite of passage from where you are living now to living the life you were born and meant to live. It is a Universal wake-up call for those of us ready to live on purpose, using our greatest gifts and talents, in service to humanity and the world for the BEST LIFE EVER! Living Vision is for anyone looking for a community in which to share the vision of global transformation on a personal and a collective level. Living Vision is 3 days of Self-Discovery in Community – A Murmuration of Transformation! At Living Vision we move collectively as One, yet we each are encouraged to reach into our deepest essence for the beauty of our soul work and to source that mystical place of vision and possibility. We dare to envision new possibilities together through the power of conscious community – through sacred rituals and healing arts – and the collective energy of the field we create expands exponentially through the magic of sound, song, movement, meditation and breath, to bring us to our inner forgiveness – essential for ourselves and all of humanity. From the power of our community experience – to commune in unity – new potentials inherent in our collective human spirit emerge. 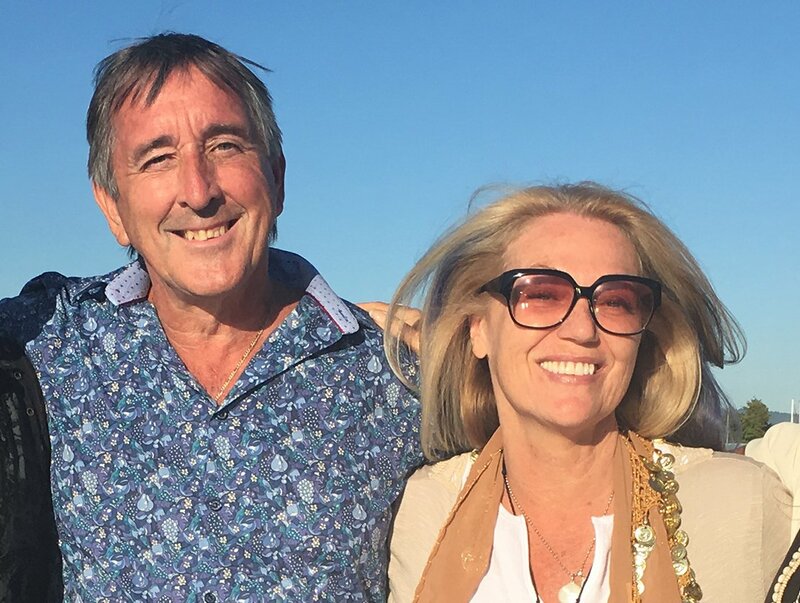 Living Vision allows us to experience what it means to have a spiritual family – supporting each other, shining a light on what we already know is possible, and reaching our full potential together – to move forward with our personal quests for wholeness, supported by the foundation of our experience together. These new possibilities become powerful catalysts for creative expression, personal and global, and an open doorway to a profoundly deeper, richer life! A loving and supportive community is a very important launching pad for our heartfelt dreams – our visions of expressing our gifts and talents – in service to humanity and the world. Our ongoing vision is to continue to extend our community, to support your Living Vision, and to build on the new vista of possibilities created during our time together. Come Join In The Vision! “The Eagle and the Condor is an ancient prophecy that speaks volumes about where we came from, where we are now, and where we’re going. Essentially, all of human society splits into two paths- the path of the Eagle, and that of the Condor. The Eagle represents the North; masculine energy and focus of the mind. The path of the Condor is represented by the South; feminine energy and the softness of the heart. 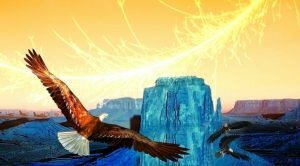 “The prophecy continues by saying that the next 500-year period, which began in the 1990’s, would be a time of divine connection between the Eagle and the Condor. Or rather, that there would be the potential for these two to fly together and ring in a new age of consciousness for all mankind. Please NOTE – We have opened this Evening to Guests! Saturday we prepare to receive Our True Vision through Breath, Movement, Integration – and Celebrate with Live Music and Dance! Saturday stacks processes individually from Zamir Dhanji with Chakra Yoga, Paul Scott & Trevor Yelich with Breathwork, Jacky Essombe with Tribal Dance, Tannis Hugill with Moving Prayer, Jan Hull with Family Constellation and we celebrate with a musical composition from Jeff Childz and Shine Edgar on Didgeridoo. Sunday we envision new possibilities for the Best Life EVER! We clear the way for vision to take root in new possibilities, culminating with and through forgiveness. There are surprises for Sunday that have to be experienced – no description can do justice and would spoil it for you! Some things we can tell you… You will be served breakfast, we will take the processes from the previous day and weave collectively for your Vision, there will be a Vision Panel for Inspiration! ** Saturday – lunch and dinner – please come breakfasted – raw dessert throughout for snacking. ** Sunday – breakfast and lunch – we finish in time for you to go home or out for dinner. Living Vision birthed a community in Vancouver that exists today and has sent it seeds out all over this world! Living Vision is a forum for Facilitators to participate too ~ bringing their wisdom to a process and leading the way – like a lead goose in a migration! The Living Vision experience allowed my soul to catch up and cozy up next to my heart. To hear the whispers of her fondest wishes for me. It allowed me to catch up with my grieving and was also an opportunity to work with fully committed people, immediately ready to show up…and to experience the radiant beauty of being human within the power of community. The Gift of Unconditional Love – creating the safest, most sacred and loving environment that I’ve experienced in a long time…To allow and cultivate your highest calling on this Earth, to create a supportive community that will be there for you fully, when you are ready to manifest that Vision. I now feel there is hope for Mother Earth and humanity as more and more people are allowed the opportunity to align themselves with their soul work. To lovingly work towards the manifestation of my own vision and role on this wounded but ever so beautiful Mother Earth. Amazingly, there are many people I met at Living Vision who are still favourite people in my life and others who I see from time to time with whom I am bonded because of the wonderful experienced shared. We all took one giant step forward and we love recalling changes that we made, as a direct result of our time together. My partner Jonas and I had the pleasure of attending the ‘Living Vision Retreat’ in September of 2007. This was our first time participating in an event of this nature and our spirits were completely uplifted and nourished from the wonderful experience that we had. Not only did we have the privilege of connecting with many amazing and inspirational individuals, this retreat also facilitated us discovering a deeper connection to ourselves and our life’s purpose. We felt that this was a very important launching pad for our dream and that the momentum of what we shared at Living Vision really helped to bring our vision into reality. In less than one year since the retreat, we received Corporate Sponsorship for ‘Kindness ROCKS’ and the show is well on its way to reaching thousands of children. Kathie and Paul Scott are two of the most special, genuine and loving people I have ever met. I am very grateful for the support and positive energy they put behind our Vision of ‘Kindness ROCKS’, which is now a ‘Living Vision’. Paul and Kathie’s paths converged New Year’s Eve, 2005 when they met on the dance floor – and dancing remains a passion of theirs to this day! A common bond is their sobriety – with almost 50 years combined, alcohol free, they know the healing journey personally from this perspective through the 12 Steps as well as avid students of A Course In Miracles. Living Vision is an annual 100-person retreat they held at Lake Sasamat for the first 4 years of their marriage – creating a network for community whose many offspring thrive to this day – which inspired them to go even deeper into what they wanted to bring forward for the transformation of the Human BEing. For her 50th, Kathie took herself to Fiji, to be Initiated as a Oneness Blessing Giver, which opened up yet another path to Awakening for them both. January 1st, 2011, they facilitated their first Cacao Journey for a handful of friends, and in the years since have created a 12-Chakra guided Breath Meditation – ANAHATA. Some peak experiences, over and above their monthly Cacao Journeys, are 200+ person Anahata Cacao Journeys at the Vancouver Planetarium for the September Equinox 2017 and Blessed Coast Festival 2018. Looking for the perfect Instructional modality, in March 2011, they landed on Quantum Touch for its simplicity to convey energy healing – as Instructors and Mentors, they have witnessed the transforming effect in many lives in the 70+ QT Workshops and countless Healing Circles they have facilitated. They headed for India, aiming for the Oneness University for the celebration of December 21, 2012. – a once-in-a-lifetime 44-days of deepening their connection with All That Is that Heals EveryOne – and became Trainers for this powerful transmission, hosting the Oneness Awakening Initiation every year during the Easter weekend. As Metaphysical Ministers, they can legally officiate weddings in Canada, and it is one of their absolute JOYS to – together, simultaneously! – marry couples who choose this path for their relationship. Paul has endless credits from a very young age, including leading programs with Context International, Rhodes Wellness College and completing his BA in Transpersonal Counseling with Clearmind International. His most recent is Family Constellation Facilitator Training with Jan Hull. Kathie began life on the West Coast in 1981 at LG73/CFOX, starting as Administrative Assistant to the General Manager and Program Directors, finally ending her radio career as Samantha on the LG Morning Zoo in April 1991. With years of experience in film and television, she danced with John Travolota, made Jodie Foster laugh and her favorite celebrity over all those years is still Cher. Clearly, their dedication is bottomless, as they head to Ecuador for the Pranic Living Breatharian Initiation while they prepare to rebirth Living Vision – 2019! 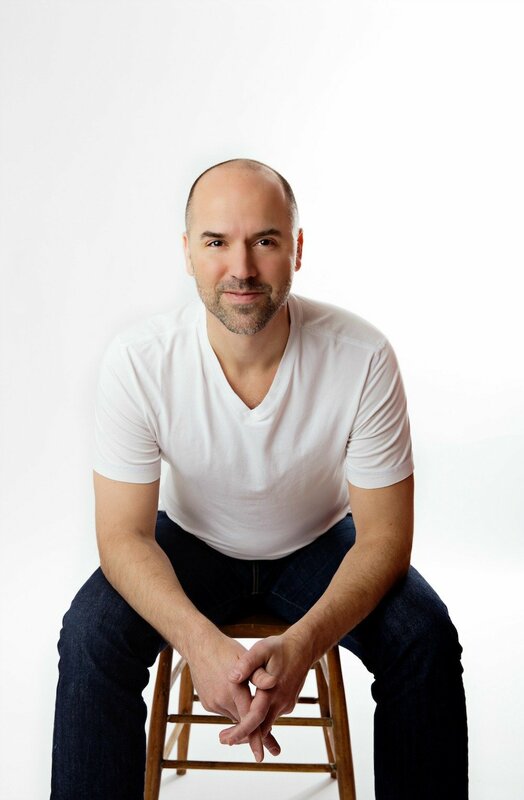 Jerry DesVoignes is a Singer, Composer, Performer and Teacher who is Dedicated to Building a Community through Sound and Voice. Jerry enjoys composing songs in different languages and using vocables, or non-language sounds. 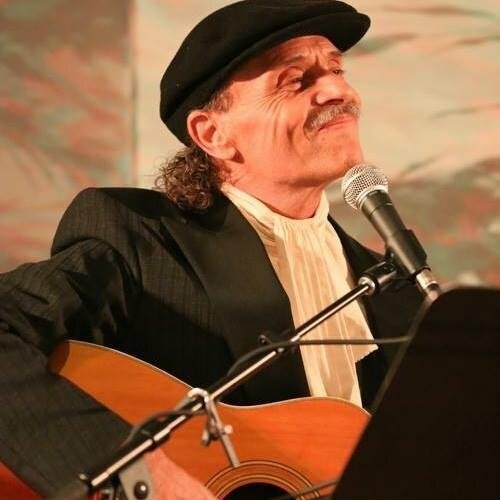 With over 35 years experience leading thousands of people in Kirtan (the devotional singing of sacred sounds), Jerry can guide you to the wisdom and transformational power of your voice. 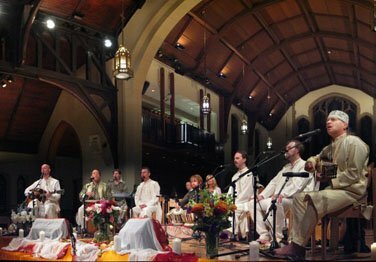 Jerry DesVoignes brought Kirtan and Mantra to Vancouver over 35 years ago and the One Voice Harmonic Choir – a group of men devoted to Throat Singing and Harmonic Overtoning – join Jerry for the Christ Church Cathedral Opening Ceremony for Living Vision. 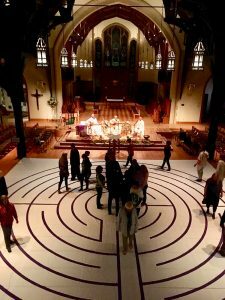 You will be awed by the Sacred Space they create in this landmark church at the corner of Burrard and Georgia. Please NOTE: Dalannah has come down with the FLU and will not be with us for Friday night’s event – next time, Dalannah! 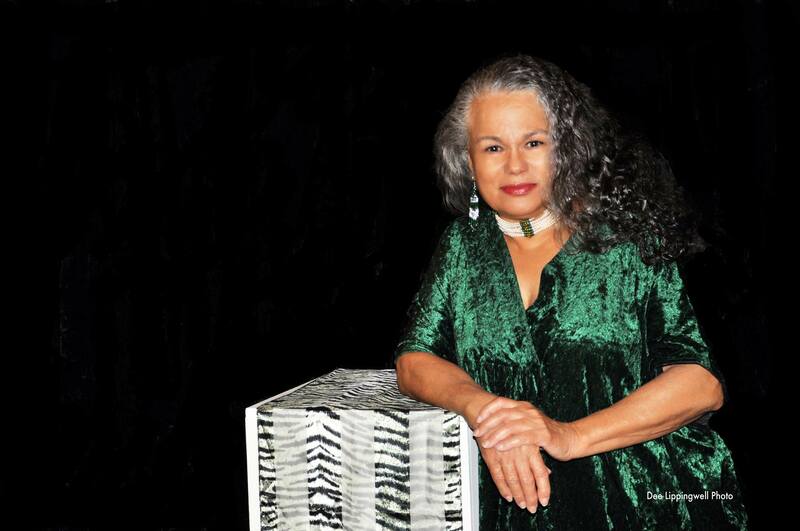 We are Honoured to have Dalannah Gail Bowen join us at the Christ Church Cathedral on Friday night to call in the Ancestors at the Opening Ceremony for Living Vision. She will also speak to our Intention for this Gathering. In 1990, Terry “Coyote” Aleck , along with 6 other survivors of St. George’s Indian Resident School in Lytton who were subjected to extreme abuse, brought a case against the Anglican Church and the Canadian government for the abuse they suffered in the residential schools – and won! It was the first lawsuit of its kind in Canada. In bringing awareness and the weight of the legal precedent to this key issue, Terry established himself as a prominent face of Reconciliation. He is proud of his heritage and sees that it will take All Nations and All Our Relations to hold the Vision of healing our world. It is with great Honour that we welcome him to set our Intentions in a Drumming Circle in Christ Church Cathedral, a church whose primary mandate is to hold space for the healing of Canada’s Indigenous and to nurture Inter-faith relationships. Bring your drum! Terry and his wife Christine welcome you in their Circle! Family Constellation Work was developed by Bert Hellinger, now well into his 80’s. He grew up as a boy in Germany through the personal and cultural impact of World War ll. With the support of his parents, he fled to Africa as a 19-year-old priest and became a welcomed member of the Zulu people. There, he learned the intricacies of Zulu family system principles and how to utilize the mystery of systemic knowing fields for insight and healing. After 20 years he made the decision to return to Germany and immerse himself in Eastern Philosophy and Western Psychotherapy. By brilliantly combining his Shamanic and Eastern teachings with Western psychology, he refined the tool of Family Constellation Work grounded in the natural laws of human relationships and their often unrealized effects on the individual. Trevor has a diploma in Acupuncture and has also studied Conscious Connected Breathwork, Chi Nei Tsang (Visceral/Abdominal Massage), Acutonics® Vibrational Healing, Thai Massage, and Bodynamics Somatic Psychotherapy. Deeply interested in trauma and its resolution, he is currently expanding his studies in Somatic Experiencing. In addition to his therapeutic work, Trevor has developed and facilitated Conscious Connected Breathwork Facilitator trainings and Nūma Somatics Facilitator trainings. Trevor has had the blessing of sharing these trainings and related workshops all across Canada as well as leading yoga retreats in Canada, Costa Rica, and Peru. Originally from Cameroon, Central Africa, Jacky Yenga grew up in Paris and now lives in Vancouver, BC. Her foundation for life was rooted in togetherness and collaboration, respect for the elders, for nature and the ancestors. Living a connected life and expressing joy through dancing and singing as a way of life was her daily reality, until the age of 9. She experienced the trauma of disconnection when she was sent to the West to “live a better life”. Now she is an inspiring speaker and an enthusiastic ambassador for the wisdom of Africa and their message of togetherness, which she shares around the world in various forms, including as a singer, music and dance performer. 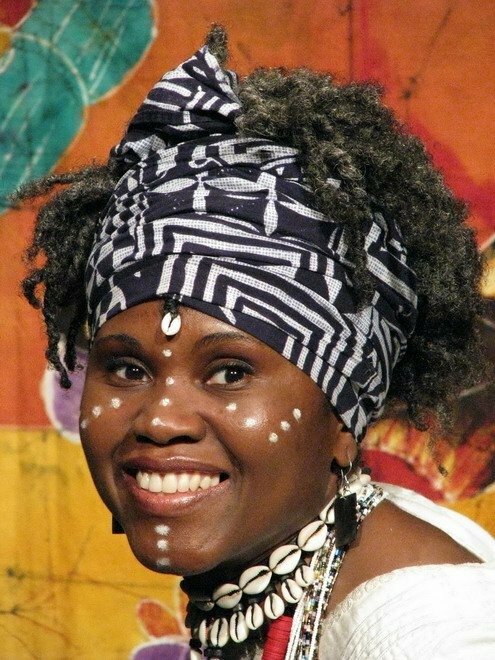 Tannis is a Dance-movement and Drama Therapist, Spiritual Director and creator of Ritual Performance. Initially a choreographer, she brings over thirty years’ experience of healing through the arts to her work with individuals, groups, adolescents and adults, especially those with trauma, eating problems, and addictions. 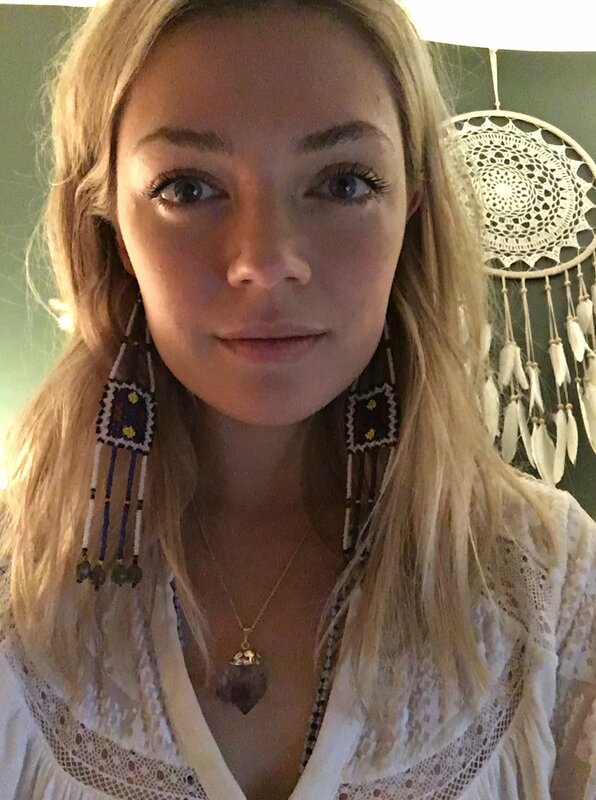 In addition to seeing clients for therapy and spiritual direction, she teaches Authentic Movement, the shamanic practice of Ecstatic Body Postures, and Moving Prayer. 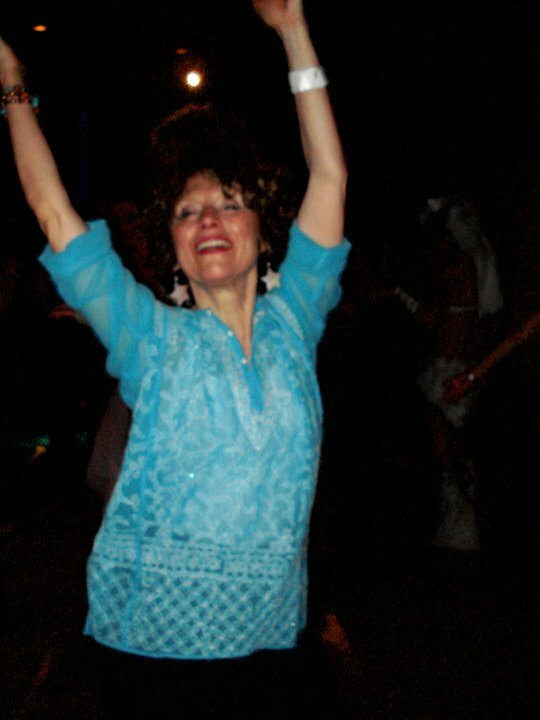 Her passion is to guide others to experience the joy and healing of divine wisdom as it moves through our bodies. In addition to seeing clients, and leading workshops, she was a board member of ANAD and the Movement Matters Association. She also directed the creation of the first Interspiritual Sacred Dance Festival. Tannis’s psychological theoretical framework is a combination of Jungian, psychodynamic, somatic, and bio-energetic approaches. Her belief in the vitality and creativity of the human spirit makes her a supportive guide who assists others in listening to their bodies, discovering needs underlying life problems, and fi nding pathways to resolution and transformation. Her passion is helping others experience the creativity and wisdom of their bodies, a sacred healing practice. Born in Vancouver to much fanfare (the only baby born “live on the radio” in Canada to LG73 Morning Zoo Co-hosts, Samantha (Kathie Scott) and Dean Hill) Sayde has found the circumstances of a person’s life fascinating, leading her into many healing and divination modalities surrounding the mystery of who we are, why we are here and what we are being led to do in this life. Sayde spent 7 years living in France, where she became fluent in French and completed her Masters in Business and International Marketing whilst working in the big cosmetics houses of L’Oreal, completing her thesis and practicum with Sisley International, a very high-end boutique cosmetic line based in Paris. Upon her return to Canada in 2017, she immediately immersed herself in the healing arts and her personal healing journey. 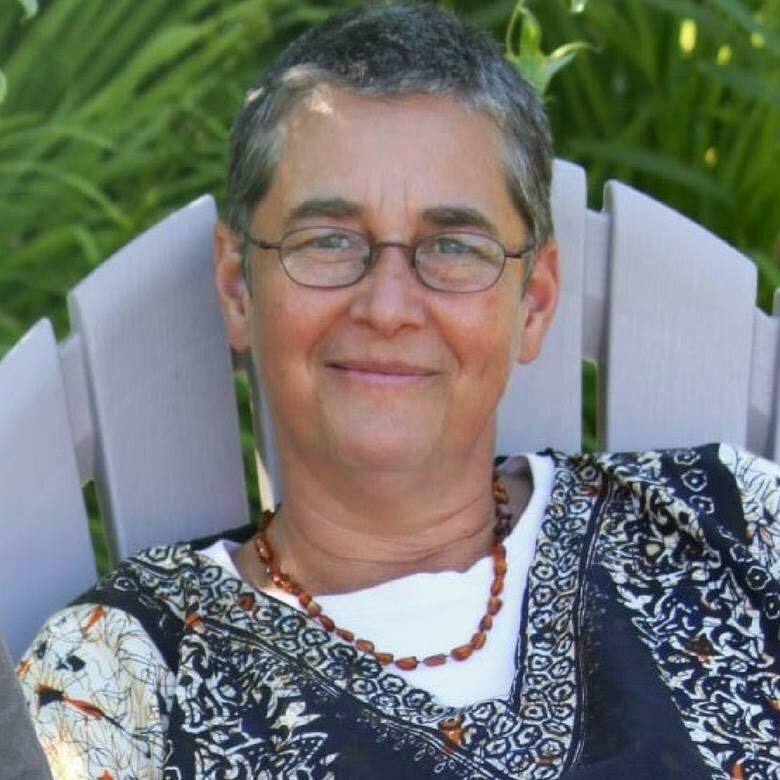 Among the array of modalities that Sayde explored, she landed firmly with Gene Keys and Human Design, is an avid student of A Course in Miracles, and is a recent graduate of Jan Hull’s Family Constellation Facilitator Training. 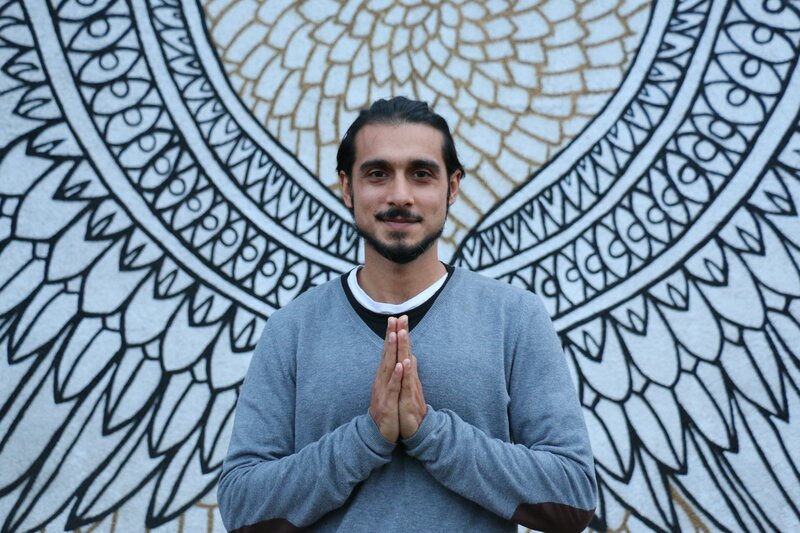 Zamir Dhanji studied Chakra Yoga with David Goulet of Pyramid Yoga. David began his yogic studies in the 1970’s under Swami Gitananda – found of the Ananda Ashyram in Pondicherry. Chakra Yoga applies the various systems of yoga in an integrated way to promote the body’s natural healing abilities, and is strongly influenced by developments in modern biology, physics and neuroscience. Zamir’s practice is based on a holistic understanding of the body/mind system that complements the scientific knowledge of ancient yogis. He is also an initiate of Ati-Yoga under the guidance of Wisdom Master Maticintin, founder of HÜMÜH Clear-Mind Buddhism, with whom he has discipled with for the last eight years in the practice and study of meditation and Buddhist logic. 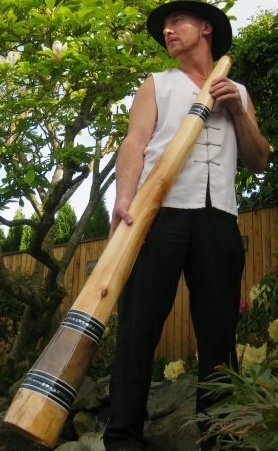 Jeff Childz is a master of many crafts, from artistic carpentry to didjeridoo. He is an integral member of our Vancouver community and can often be found behind the DJ booth entrancing the crowd with his elemental rhythms. Jeff will be facilitating an evening of tribal grooves for our Saturday-evening experience with a band of live instrumentalists. It is sure to be a night of deep ancestral connection. Adam is an architect of sound. A weaver of frequencies. And a dreamer in this sea of dreams. Adam sculpted the sonic pallet behind Quantum Life’s Anahata meditation, and will be performing this meditation live with Kathie & Paul Scott at Living Vision 2019. If he’s not on stage or behind the sound booth you’ll catch him getting into the grooves with the tribe and smiling wide. Accompanied by didjeridu Master Shine Edgar we will co-create an evening of ritual, celebration and renewal on Living Vision’s Saturday night. Renowned Australian didjeridu Master, Shine has been performing, teaching and offering sound healing for close to 30 years. 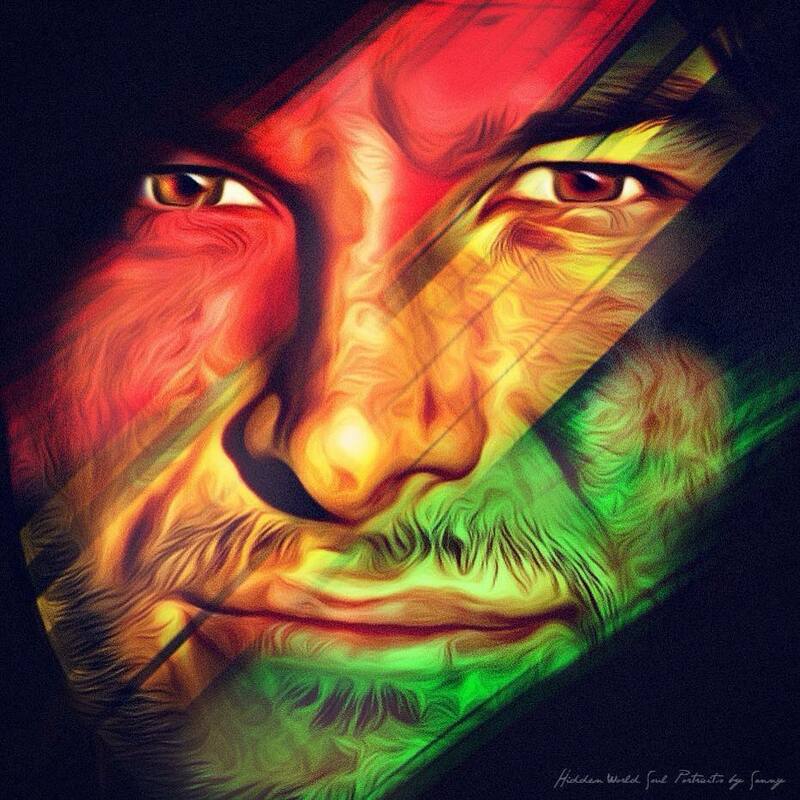 He has performed at numerous international festivals to thousands of people and shared the stage with many well known artists, including Mickey Hart, Jai Uttal, Michael Franti, Rhiannon, Armando Peraza, Gaudi, Adham Shaikh, Ganga Giri and Mihirangi. 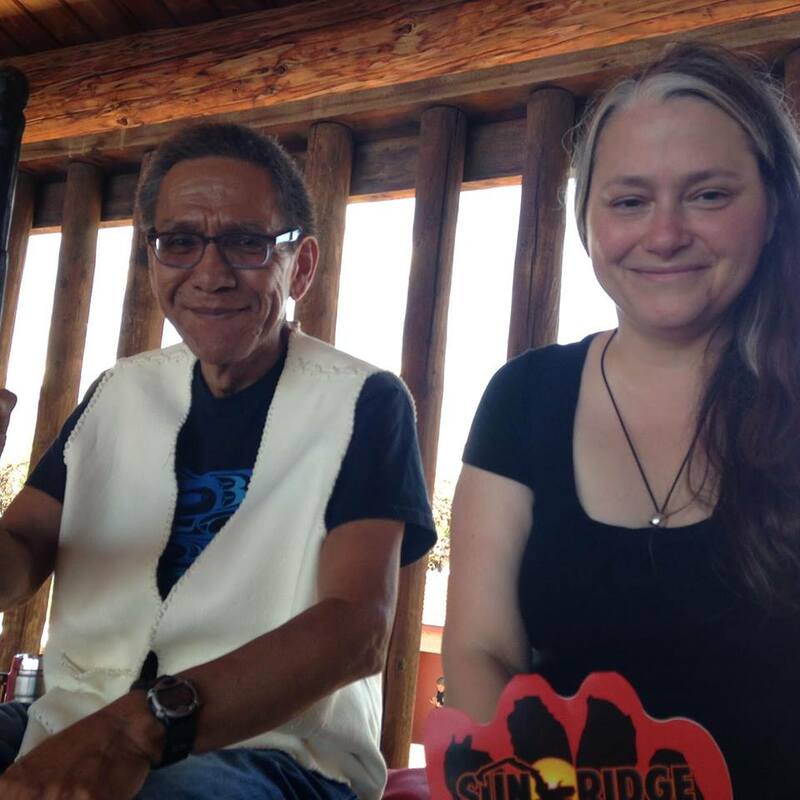 Shine was initiated into didjeridu healing by an Indigenous Aboriginal Elder in 1991. He offered sound healing at Hollyhock retreat center for 10 years. A number of leading experts in the field of spiritual healing, including Deepak Chopra, Eckhart Tolle, Ram Das, and Dr. Andrew Weil have all experienced Shine’s work. Shine’s world beat rhythms , percussion and unique vocal styling’s, combined with timeless messages of indigenous wisdom, takes listeners on ecstatic dreamtime journeys into self discovery and inner transformation. In Mona’s 26 years as an International Hair Stylist, she has traveled the world and has witnessed the hair industry in both its enticing, fast-paced environment and in ts truly intimate moments. Her widespread involvement int he hair industry and her profound relationship with her clients, has inspired her movement towards healing and self-care within the beauty sector. Together with a feature documentary film, she plans to promote the importance of going beyond vanity and looking inwards on a spiritual level for true inner and outer alignment. Mona calls her practice Intuitive Transformational Hair Artistry for the hands-on healing experience it incorporates. Through her practice, she teaches that hair holds untapped magical powers and that in properly invigorating and enhancing, it is possible to empower clients to be their very best true selves! 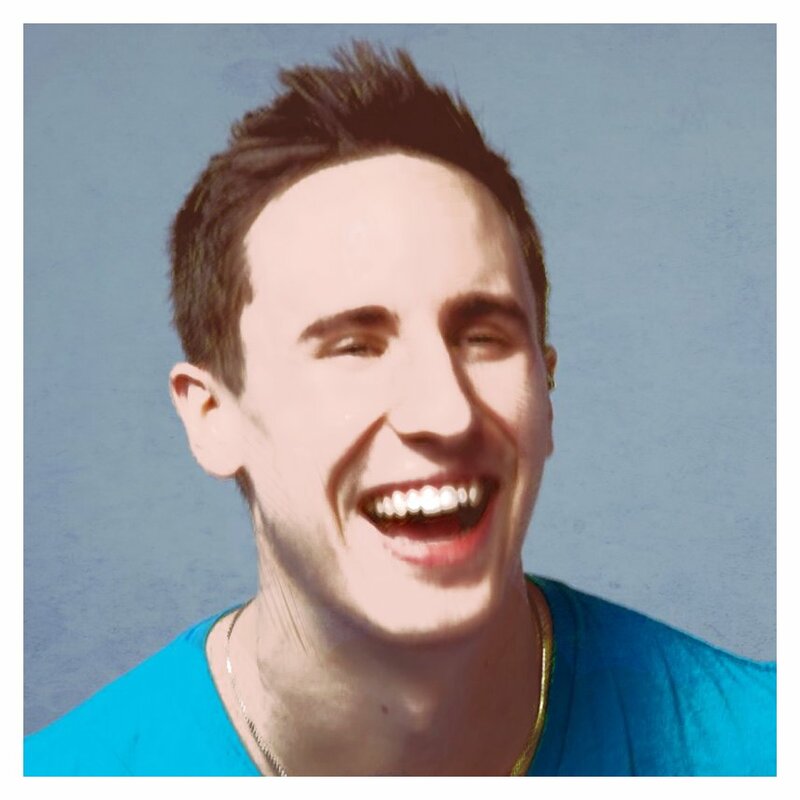 Trained as a professional Chef in Germany, Michael immigrated to Canada at the age of 25. He quickly developed into an entrepreneur and business owner. His definition of hospitality is “to have a genuine interest in the well-being of other people” and his purpose is to be “in service to others”. Life was his university and a desire for peace at the centre of his Being. 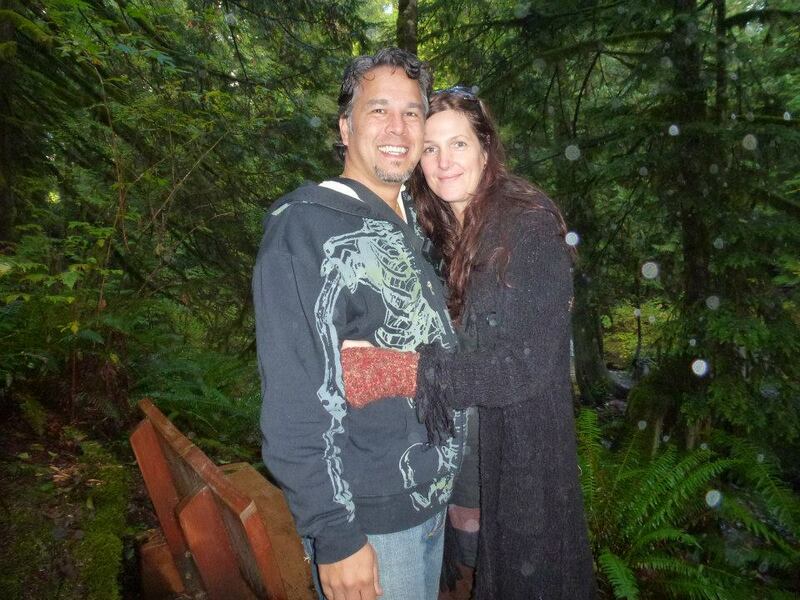 After his exit from the hospitality industry Michael expanded his knowledge into energy and frequency healing, life coaching, breath work and is currently a student of The Shamanic Institute of Medicine. His vision for ONE JOURNEY dates back to 2009, when an unexplained beam of light entered his body that lead him on the search for a way to help bring peace and understanding to the world. The idea for “ONE JOURNEY” was “officially” born in 2014 and evolved into a film and mobile app project to assist in the transformation of human consciousness. 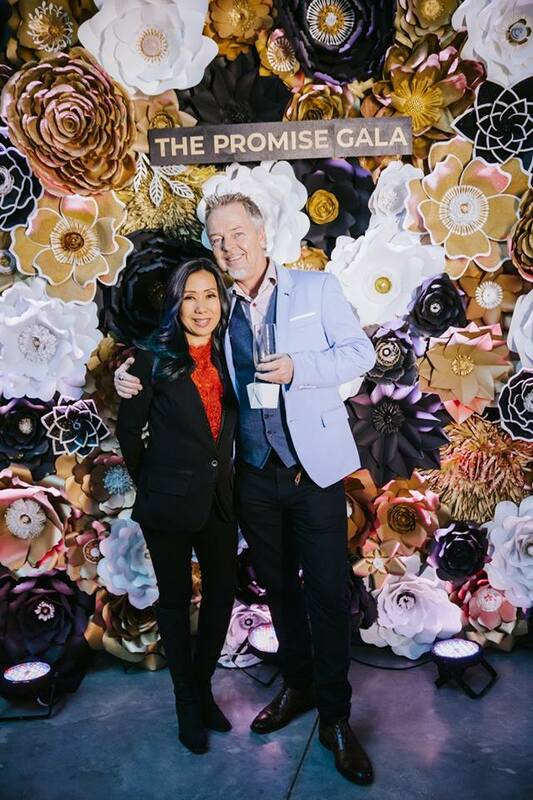 Chris and Jenn have made major contributions to our Conscious Collective in Vancouver and on the Sunshine Coast – and Kauai, Hawaii! Abundance Farm – 1020 Hamilton Rd., Agassiz, B.C. A social experiment for growing organic food and intentional gatherings! 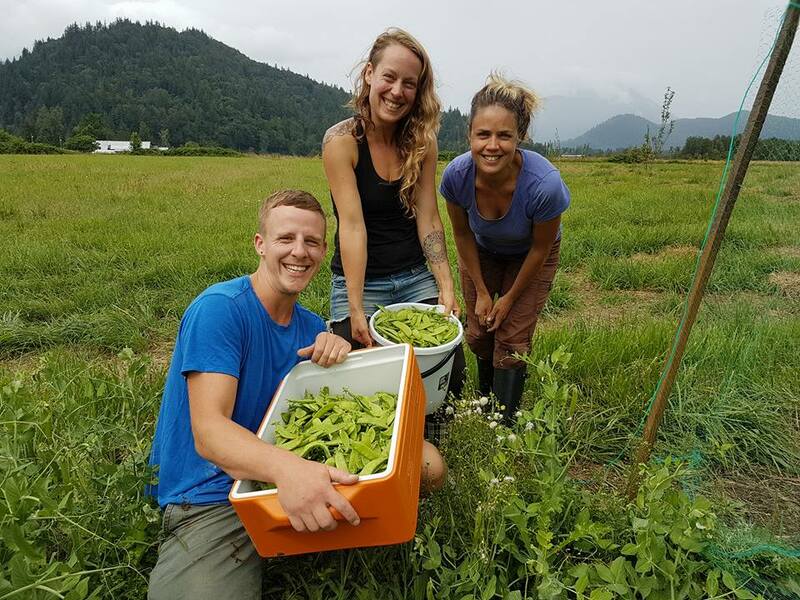 Abundance Community Farm is located on 40-acres of land in Agassiz, BC, 1.5 hours east of Vancouver. With 5 permanent residents living on the farm, and a network of Community Agriculture members who live in Vancouver and farm-share one weekend a month to grow food, connect to nature, build community and create culture, we foster a culture that is rooted in authentic and grounded human connection, greatly improving our Quality of Life. By sharing resources and replacing consumerism with meaningful connections and culture, we reduce our Ecological Footprint and pave the way to true sustainability. Concerning all acts of initiative and creation, there is one elementary truth the ignorance of which kills countless ideas and splendid plans: that the moment one definitely commits oneself, then providence moves too. Want to know when our workshops are coming? Success! Keep an eye out for an email confirming your subscription.